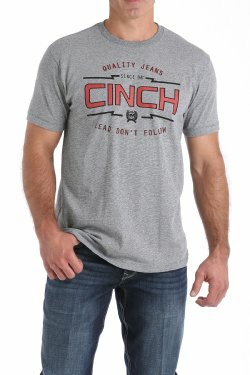 CINCH men’s shirts are the pinnacle of western wear fashion, quality and comfort. 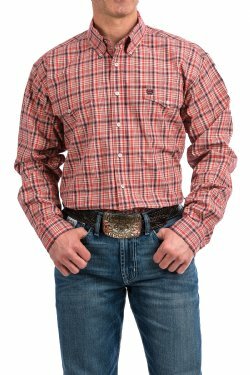 Browse our large selection of western woven shirts in countless varieties of plaids, solids, prints, paisleys and stripes. 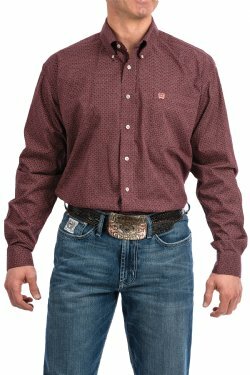 The CINCH Classic Fit features a full body width and extra-long sleeves and tails that provide cowboys with the room and range of motion needed for riding and swinging a rope. 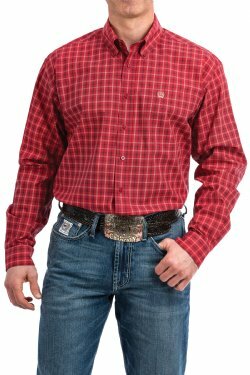 Most men can size down from other brands in CINCH Classic shirts. CINCH Modern Fit shirts are designed with a more tailored fit through the body, but the sleeves and shirts tails remain the same as Classic Fit. Most men will go up one size in Modern Fit when compared to Classic Fit. For active men, on a ranch, working a job site or roping at a weekend jackpot, our ArenaFlex collection is the perfect blend of performance and style. ArenaFlex shirts feature quick-drying, 4-way-stretch, moisture-wicking fabric that keeps you cool and dry when temperatures rise. In addition, all ArenaFlex shirts provide UPF protection from the sun’s harmful rays and are wrinkle resistant. 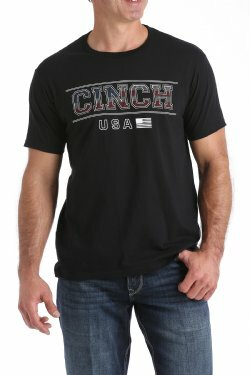 For more casual looks, check out our western inspired T-shirts, polos, caps and accessories.